alliance4action: FYI! Change is Happening--How shall I vote on the Ballot Propositions! FYI! 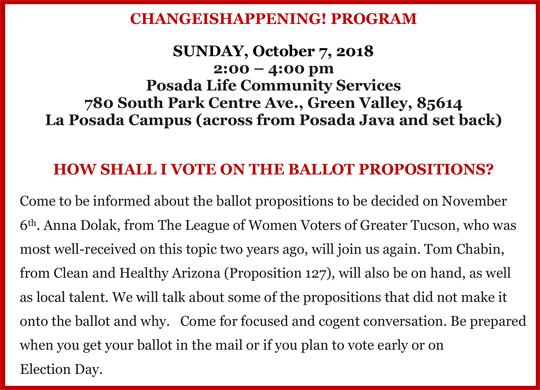 Change is Happening--How shall I vote on the Ballot Propositions!